Jamie MacDonald, Kristoffer Ajer , Steven Smith, Iain Wilson (William Graham 78), Greg Taylor , Greg Kiltie (Rory McKenzie 65), Gary Dicker , Jordan Jones, Dean Hawkshaw (Cal Roberts 57), Adam Frizzell, Connor Sammon. Subs Not Used: Curtis Lyle, Taylor Queen, Karleigh Osborne, Innes Cameron. Having secured Premier League status the previous week, Killie travelled to Motherwell on Tuesday evening in order to try to secure their status as “best of the rest”. 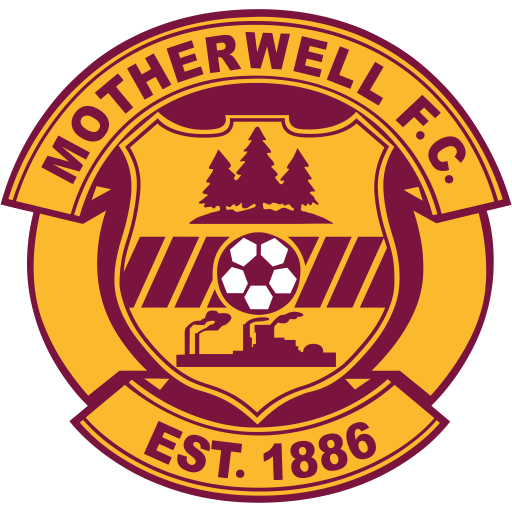 Motherwell, on the other hand, still had a job to do to secure their own safety. A win against Killie would mean that Hamilton would need to win in Dingwall to have any chance of avoiding the play-off spot. McCulloch made a few changes for this match. Luke Hendrie didn’t make the squad, meaning that Greg Taylor returned to the team, but to right-back instead of left-back, as club Captain Smith retained his place and position. Longstaff too didn’t make the squad, meaning that Hawkshaw got his chance to impress alongside Frizzell who showed his mettle last week in the win against Inverness Caledonian Thistle. Once again, Sammon led the line on his own, with wing support from Jones and Kiltie. Young Iain Wilson sat in front of the centre-back pairing of Ajer and Dicker. It was certainly a young Killie side, with only Sammon, Dicker, Smith and McDonald showing signs of aging. Killie fans were a little anxious given how the experienced Motherwell side handled the youngsters on their last meet. That anxiousness was to prove justified within the first minute. As is now customary for Killie, the kick-off routine involved passing for Dicker for him to lump it up-field and lose immediate possession. Motherwell switched straight on and fed Moult down Taylor’s wing. Taylor couldn’t take man nor ball but Dicker met Moult and dispossessed, at the expense of a corner. Frear took the corner with a low pass to the penalty spot, Hawkshaw left the front post to meet the ball but didn’t get there in time as McHugh left Kiltie for dead to slot the ball where Hawkshaw had just been standing. 1-0 to Motherwell, with some Killie fans just taking their seats. Curiously enough, Killie didn’t repeat their lump-it-up-the-park kick-off in the second minute, instead choosing to pass it across the defense, retaining possession. This was a tactic which was to prove fruitful for the remainder of the first half. Motherwell rarely featured in the following 43 minutes, as Killie turned on the style and provided a passing masterclass (Smith aside, who spent most of the half kicking the ball out of play). As was the class last week, Jones was easily Killie’s best threat. Unfortunately, also like last week, Sammon did nothing with any of Jones’ deliveries to the six yard box. When Smith did try to pass the ball along the ground, he generally found his man, and that man was Jones, who gave the Motherwell right-back David Ferguson an utter schooling. Jones has come a long way since his first couple of games in the disastrous League Cup campaign and is fast becoming a regular standout in the Killie team. It’ll come as no surprise to learn that Jones was directly involved in Killie’s equaliser although the eventual goalscorer may be a bit of a shock. Smith fed Jones down the line who twisted the right-back inside out before delivering a low cross into the box. Lasley completely mistimed his clearance and the ball made its way through to Frizzell who drilled a low shot into the corner of the net. Not all Killie’s moves involved Jones though. Frizzell and Hawkshaw were doing great work in the centre, often assisted by Wilson. On the other wing, Taylor and Kiltie were combining well and Taylor was unlucky with a shot which was just off target on the 23rd minute. Motherwell’s only real second chance of the first half came soon after. Ajer was beaten by a lob over the top for Moult to run on to. The celebrated ‘Well striker had loads of time to pick his spot, but his hard drive was well saved by the onrushing McDonald. Soon after, Killie had another move which started almost identical to their goal. Smith played the ball (along the ground) to Jones, who then took Ferguson on another trip round Lanarkshire. Ferguson’s answer was to take Jones on a trip to Grassville, just outside the box (according to absolute whalloper Nick Walsh), and was booked for his troubles. The free-kick in such a promising position was totally wasted as Jones squared to Taylor only for him to blast the ball off an approaching Motherwell defender. Jones tested, and beat, Ferguson one more time and got a shot off which was well saved by the ‘Well goalkeeper. Unfortunately for Killie, said ‘Well goalkeeper wasn’t Samson, and so the ball wasn’t parried out for a tap-in. By this point, Stephen Robinson had had enough of Jones and replaced Ferguson for Ainsworth. Ainsworth made an immediate impact, winning a corner of Smith soon after and Moult just cleared the bar with his header from the resultant corner. The final move of the first half came from Killie, with two of their brightest young stars, and one not-so-young “star”, combining. Taylor threw in to Hawkshaw, who managed to squeeze past two fouling ‘Well players to pass to Sammon in the box, Sammon laid off to Taylor, who skipped past another ‘Well player and sent a beautiful left-foot shot goalwards. His shot, while beating ‘keeper Griffiths, bounced off the top off the crossbar and away to safety. That was the last action of the first half and Killie fans were looking forward to destroying Motherwell for another 45 minutes. However, they hadn’t accounted for Grade A Weapon Nick Walsh, who clearly thought that he hadn’t been involved enough in the first half with his two bookings (the other being Lasley). It took thundertwat Nick Walsh only three minutes to start “stamping his authority” on the game. Moult skipped past a clumsy Dicker challenge down the right wing but couldn’t get past Taylor. However, the defender’s tackle only fed Frear who evaded a lunging tackle by Ajer inside the box. Frear’s pass to Craig Clay was to no avail as he fell over from the pressure of the diminutive Hawkshaw who had went shoulder to shoulder with the midfielder. Smeghead Nick Walsh booked Clay for diving. Asshat Nick Walsh then booked Ajer moments later for a rough challenge on Clay. Then, to cap off seven minutes of the worst display of refereeing this side of Willie Collum at the 2012 League Cup final (ha – as if! ), clownshoe Nick Walsh booked Taylor for a fantastic tackle against Frear. Naturally, the resultant free-kick from Ainsworth was fired straight in to the back of the net, and Killie collapsed. I suppose that douchebag Nick Walsh has already written to Hamilton to apologise for effectively killing their chances of evading relegation. Soon after, Hawkshaw was replaced by Callum Roberts, who did hee-haw for the next 35 minutes. Soon after that, McKenzie replaced Kiltie in a like for like swap. McKenzie too did hee-haw for the rest of the match. Killie were nowhere to be seen since Motherwell’s second goal, apart from a shot over the bar from Frizzell. At the other end, Frear shot just wide and utter tool Nick Walsh missed a blatant foul by Stevie Smith in the box. On the 78th minute, in order to try to get back to equal terms, McCulloch replaced defensive midfielder Wilson with young forward Graham. It had an almost immediate impact. Negatively. Jones cut inside from a run down the line and tried to square to McKenzie. However, the pass was behind him and Ainsworth collected. Dicker bolted forward to close down Ainsworth, who was in Wilson’s vacated position and Ainsworth used the space to send Louis Moult down the right-hand side. Moult was chased down by Ajer, meaning that the two centre-backs were AWOL. Frear capitalised by collected from Moult in the middle, rounding McDonald and slotting home for ‘Well’s third. Cockpuppet Nick Walsh had twelve minutes left to make two further bookings, bringing his total to eight for the game, which Motherwell saw out nonchalantly. The game finished 3-1 to Motherwell, which means that the league won’t need to be reconstructed again this season. Killie now have to beat Ross County on Saturday to ensure seventh place for season 2016/17. Hopefully, McCulloch spotted the energy which Frizzell and Hawkshaw brought to the midfield, and sticks with them on Saturday. Then, all he needs to do is find a striker from the youth ranks to replace Sammon/Boyd. Meanwhile, Killie’s excellent board members can have a wee think about the fact that we have no Chairman and no Manager and that they have no clue. Lee McCulloch: "Two set-plays cost us, and a breakaway goal. Overall it's disappointing to lose but the manner of the goals was even more disappointing. I'm delighted with the first half, we were by far the better team, but in the second half you could probably argue that Motherwell deserved it with the way they pressed and hit us on the counter-attack."